"Thanks to this workshop, I was able to complete my thesis protocol and get the Ethics committee approval in no time. Normally it could take much longer. And then after repeating the workshop, I was able to find lots more references than I did, with my first attempt". In November and December 2016, we had to do a fair bit of planning for executing the project. The best outcome of this was that the Director of Medical Education & Hospitals - Dr AV Supe, who is also the Dean of KEM Hospital gladly permitted us to use a facility in KEM for conducting the workshops, at a very marginal cost. He also circulated the notice about our project to other Deans. On our first workshop, he sent a "Good-Wishes" message for the entire program. Between January 2017 and end March 2017, we conducted five workshops covering 31 PG students. Two more students who had done the workshop earlier also enrolled for this project as they wanted support for their thesis. Both of them attended the workshop again as a refresher activity. We had to suspend workshops in April and May for a few reasons. In the end of March, resident doctors had a strike due to violence incidents they faced. Post this they compensated by working longer, and the authorities also were occupied with this issue. Also the institution had problems with their Internet connectivity in the workshop venue, and we needed to wait for that issue to be resolved. And then I (Vasumathi Sriganesh) have to travel abroad for a conference. The project will resume in June 2017. The good news is that I will be presenting an interim report about this project as a poster, to an International Audience of medical librarians in the USA. And I have highlighted the fund raising activity. Given the heavy schedule of residency, thesis work consumes a lot of time and most of us end up doing it just for the sake of completion.Reference writing and review of literature can be a nightmare without this. Now I can save a lot of time and yet write a good thesis. It should be compulsory for the 1st years when they are starting their thesis. After the workshop i really understood that why my searches never yeilded specific results. b) Time: Residents have very heavy working hours and only Sundays seem feasible for most. AT KEM, Sundays being a holiday, there are some constraints in the facility and timing. Overall, while the speed of execution is slower than what we would like it to be, we are happy with the success of the project. We will more details as we go. And once the conference is over (end May), I will share the poster as well. If you wish to follow the progress of this workshop - here is the link: www.qmed.ngo/100pgs. A big thank you once again and best wishes. Postgraduate medical students waste many hours in searching for references online and citing them in their thesis. These skills, if taught correctly, saves them time to focus on their actual research. Importantly it teaches them to find “evidence” of best practices, a skill they need life long, to provide evidence based care to the community. Members of the governing bodies of the country, themselves being untrained, have not included "correct searching methods" in the curriculum, and hardly anyone teaches these to students. This needs a change, and students experiencing this change can make a big difference to the community. We will train 100 medical PG students in scientific ways of searching for the most relevant literature and for the best available evidence and further do their referencing with ease. We will invite applications from medical colleges & hospitals in Mumbai and take on students on a first come first served basis. After conducting workshops, we will also work with each one of them for their thesis topics, guiding them for the search, citing and referencing. We will specially focus on helping them find evidence based information. By empowering these students with strong search skills, these students will save hours (actually days) and be able to spend more time in conducting their research for the thesis. Learning these skills will help them search online correctly, every time they seek information for research or patient care. Over time, patients will gain by getting the best available treatment. 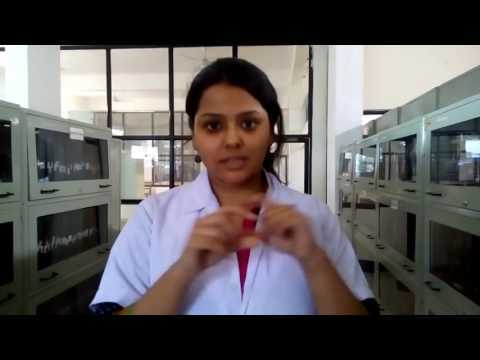 In addition, this activity being an integral part of any medical writing, it encourages these students to document their research, and help improve research output in India. 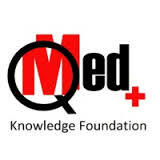 Your share could be as good as a donation for QMed Knowledge Foundation!